What an Excellent Resume Looks Like and know the reasons WHY! 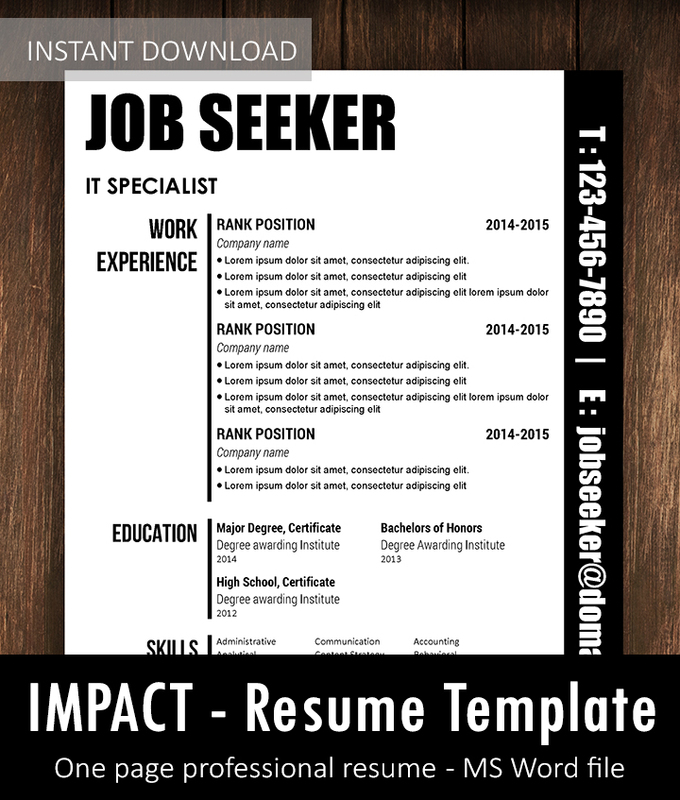 There is no shortage of resources online that help you how to write a perfect resume. 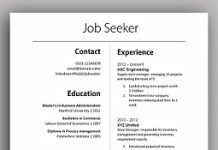 First there is no perfect resume sample or format so don’t waste your energies in copying a sample resume available online. It has be relevant and to make it relevant it has to be designed according to the job applied. So I cannot tell you how you can write an excellent resume for the specific job you are applying. But I can show you what an excellent resume really looks like. 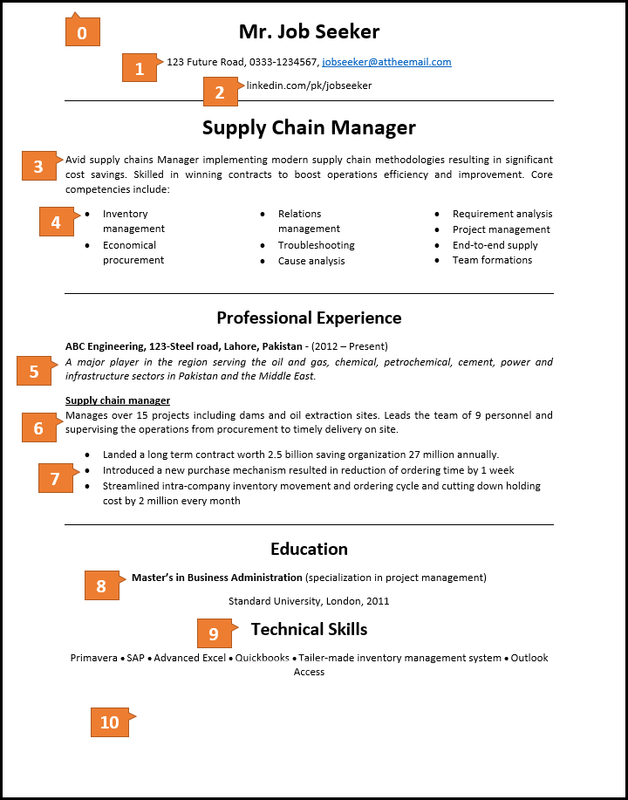 So cut the chase and here is a sample resume with the points highlighted. Why each and every point is important and is explained later. 0 – Get the basics right! 9 – Only relevant skills ONLY! Get the formatting correct. No headers or footers. That white space is your total real estate to prove yourself. Don’t waste it. Get punctuation correct and be very careful not to make spelling mistakes. Imagine you are wearing fancy new white suit and have red ink stains on it. Yikes! No images. Unless you are going for modeling. No fancy colored infestation. Make it all black. Divide each section with sleek margin/border/line. Most importantly! DON’T USE PRONOUNS! Can’t really emphasize it more. If you have more than one contact numbers and emails, choose one for your resume and job hunt and mention just that one. That way it is not confusing the hunter and also you know which cell phone never to turn off. Select that cell phone which is available with you and will stay with you even if you switch jobs i.e. your personal contact number. Same applies for email address give the one that is your personal. You don’t have to show which company you are working for by giving your official email address. Also make sure that most of your social accounts are based on same email address so that if employer search for you e.g. on linkedin or facebook then he can find your profile easily. You can maintain formal accounts on social websites and have usual account separate where you like to be free. Time has changed and job hunting process has shifted significantly. Now a days people rely on online profiles like on linkedin.com where they can have access to almost all the information they need. The more employer reads about you, more chances you have to get recruited. It not only make recruiters work less tiring but also better as almost everyone can access these websites from anywhere instead of reviewing your resume on paper alone. Are you still using objective statements on your resume? Are you living in 80s? Drop it already! Put yourself in the shoes of employer and ask yourself if you are really interested in knowing what you want to be. Trust me no one cares or even have time to read about what you want in your life. Each and every employer is interested in one thing and one thing only how can you be good for him/her in today’s date! Have a look at the sample resume above. Instead of “Pursuing top level position in blah blah industry” tell what you are doing these days. Make a summary of task you are skilled up to this day and then instead of explaining each and every capability just include them in points so that recruiters can go over them really quickly. Everyone knows what inventory management is you don’t need to explain that. And don’t forget to make your executive summary justified. It only takes one extra click but make your resume much more balanced and pleasing to read instead of everything falling to the left. You are living in digital age and 99% of the time you have to send your resume in digital form like pdf or word file at recruiter’s email address. Almost all the recruiters put your file in a database and whenever they are searching for candidates they run a query on that database and it pulls the resumes or CVs that has certain keywords like project management, accountant, analyst etc. That has made the lives of employees simpler too. Instead of giving long details of your capabilities just mention them in the form of keywords. That helps recruiters skim easily and also increases your chances to get your resume picked by the database engine. If the company is local to employer then probably even the name will suffice but adding a line or two long description of each of the organization you worked for will save the employer some search to understand what it is about and how you fit there. If you don’t know what to write then visit about us section of your employer’s website and copy something relevant from there. Again! It shouldn’t be too long and must be justified instead of left aligned. Bonus: If you have worked for more than one organization then have them listed with the latest employer first and the earliest employer last i.e. reverse chronological order. That helps recruiter where you are right now and how you progressed to this place over a period of time. Instead of putting whole job description its better if you write what you actually did or doing so that you can discuss the same if you are asked in the interview. Your experience section must not look like long list of JDs. Instead in few words wrap the whole thing and make it one sweet package that is precisely hinting on key responsibilities. Your description itself should be action driven i.e. use action words like managed, supervised, designed etc instead of describing the whole thing like an essay. No! You have limited space and time to convince recruiter. Use it wisely. It looks superfluous if your are highlighting something as your achievement and not giving a yard stick to measure if it really is an achievement. Instead of saying “saved inventory costs by significant margin” give it a number and give a ballpark estimate of how much savings were in real like “saved inventory costs by 2 million”. Ideally it should be in the format like quantity followed by action or action followed by quantity. Numbers impress better than words. Experience exceeds education and same applies for resume. List education after experience unless you are fresh graduate with no experience at all. You don’t have to list the whole lot of education starting from your high school to graduation or post graduation. Only list the latest-highest-relevant education on the resume. You can list certifications as well only if they are relevant to the job you are applying for. And if you are really good in academics like you scored GPA of 3.0 or more than list it for sure. You don’t need to include what you studied in the course. These days the curriculum of every university is almost the same and just by looking at course content you cannot judge the candidate’s capabilities except few cases. Don’t stuff your resume with all the skills you know. Just stick with the requirements of the job and only list that are relevant for the job applied. Everyone knows that you will provide references if recruiter or employer asks for it so no need to include it. Its unnecessary rather useless. TWO Types of people who want to start a business but never do!